The University of Bath has received significant new government investment to develop the Institute for Advanced Automotive Propulsion Systems. 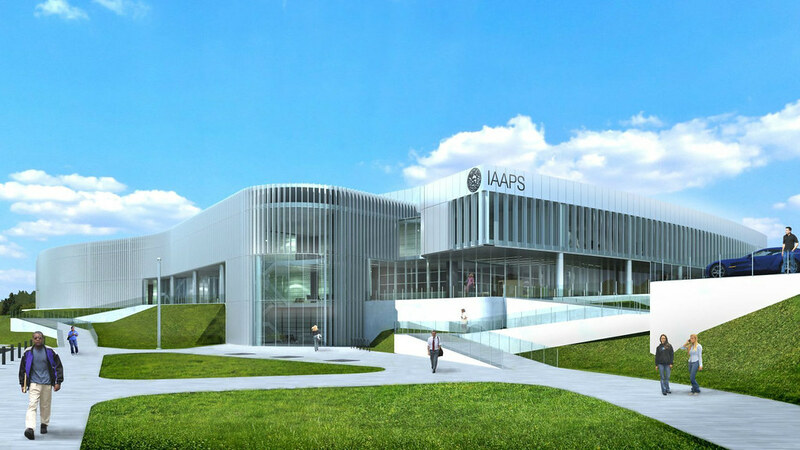 The Institute for Advanced Automotive Propulsion Systems (IAAPS) will be a global centre of excellence, delivering transformational research and innovation into advanced propulsion systems. Located at the Bristol and Bath Science Park, it will lead the development of future generations of ultra-low emission vehicles and attract sector-related businesses to the region, generating economic growth. IAAPS is scheduled to open in early 2020. The capital investment of £28.9 million announced today from the Higher Education Funding Council for England’s (HEFCE) UK Research Partnership Investment Fund (UKRPIF), will enable construction of the £60m IAAPS facility to start in the summer of 2018. The West of England Combined Authority and Local Enterprise Partnership has also committed support for the project with the allocation of £10m through the Local Growth Fund*. Global companies, including McLaren, Ford, Jaguar Land Rover, Hofer Powertrain and HORIBA Group, as well as more local businesses such as HiETA Technologies, have been key to the success of the IAAPS concept. The support and advocacy of the Automotive Council and the Advanced Propulsion Centre, alongside the support of the University’s Industrial Partners will continue to play a key role as the vision becomes reality. The Institute for Advanced Automotive Propulsion Systems (IAAPS) Specialist facilities will make IAAPS a centre of excellence for training and skills development in automotive engineering, supporting new Apprenticeships, Honours Degrees, Masters and Doctoral courses, helping to address the engineering skills shortage facing the UK automotive sector. President and Vice-Chancellor of the University of Bath, Professor Dame Glynis Breakwell said: “I am delighted that IAAPS has received the support and backing of the Government. The University of Bath has over 40 years of automotive research excellence in collaboration with some of the world’s leading companies and is ideally placed to turn this opportunity into a reality. Universities and Science Minister Jo Johnson said: “The UK's world-renowned leadership in science, research and innovation is helping to solve a range of national and global challenges, and the breadth of the projects funded today means this will continue. Subject to approval of the Full Business Case by the West of England Joint Committee. The committee comprises the constituent councils of the West of England Combined Authority (Bath & North East Somerset Council, Bristol City Council and South Gloucestershire Council) and North Somerset Council.